Aleksandr Zakharchenko, the "DPR" leader following the conversation with Vladimir Putin declared his consent with the Russian President on the matter of exchanging prisoners with Ukraine. “In the issue of exchanging prisoners, I agree with the position of the Russian president - we must follow the principles of humanity here. 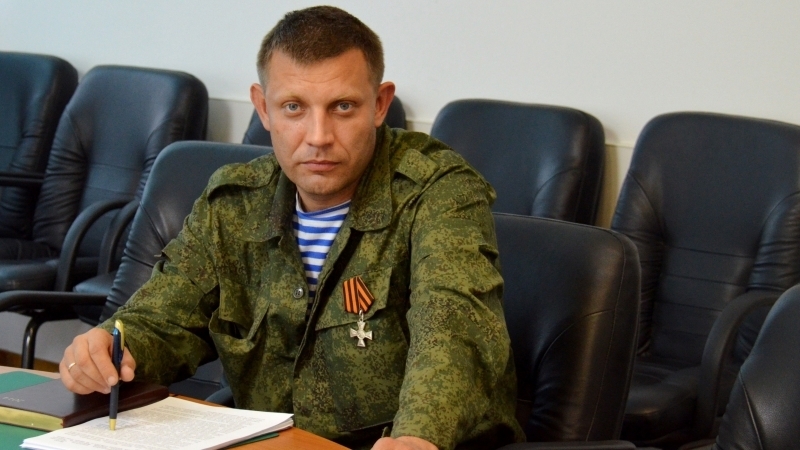 The exchange of prisoners should not remain a matter of war and trade,” Zakharchenko stated. According to Zakharchenko, "the one will win the civil war who is guided by moral principles and able to preserve the human face". “The fact that we adhere to moral principles is proved by our respect to the prisoners. And the thing that the Ukrainian authorities and the punitive battalions controlled by them have long lost their human face, is proved by the fact that our comrades in captivity are tortured to death. Even during the previous exchanges - and dozens of journalists witnessed that - we returned the captives healthy or cured at our expense, well-fed and dressed, while Kyiv passed our comrades to us maimed and on the verge of death. Therefore, I have supported the initiative of the Russian president. For the simple reason that it does not contradict our principles at all and the way how the Republic behaved in the matter of prisoners before," Zakharchenko added. Earlier, according to Dmitry Peskov, press secretary of the Russian President, the leaders of the "DPR" and "LPR" endorsed the initiative on exchanging prisoners under the formula "306 for 74".